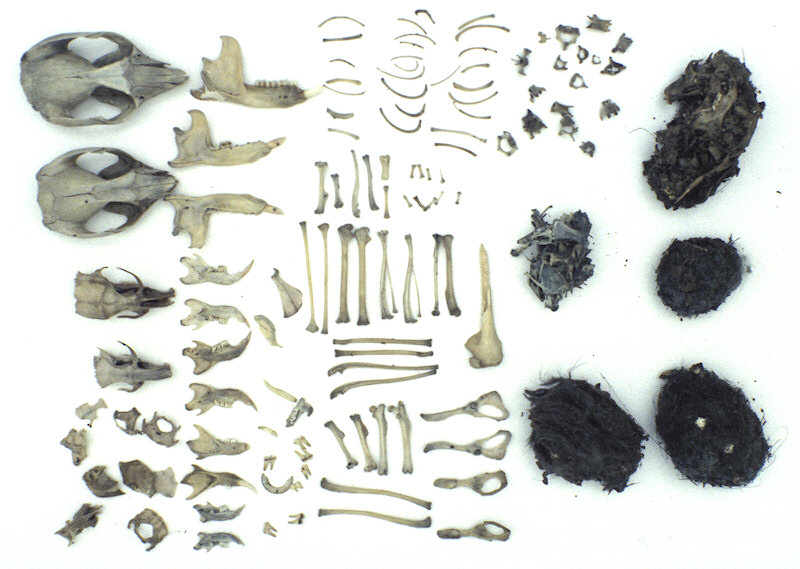 Contents of a Greater Sooty Owl pellet. Owl pellets may be dissected to analyse the skulls and bones and learn what prey the owl has been eating. Image © Richard Jackson.